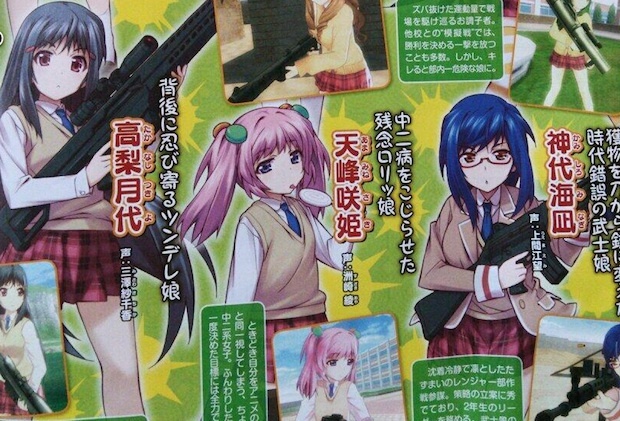 D3 Publisher announced new Vita game Bullet Girls in this week's Famitsu. It's an action shooter, with something like paintballs, that takes place in a school where girls practice as part of the Ranger Club. So expect lots of gun types in this action game. Also expect some naughty business as destructible clothing is a gameplay mechanic, as is customizable underwear. Gematsu says that "interrogation practice" is also a feature, and it'll have you touching the girls. Bullet Girls is 60 percent done, and will ship this August in Japan.